Lamar Pye has escaped from Oklahoma State Penitentiary, accompanied by his idiot cousin and a vicious but cowardly artist. To have stayed in prison was certain death, but his chances on the outside are not much greater: his excesses know no bounds - one killing follows another. 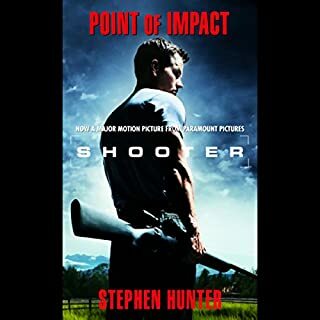 But one murder brings his nemesis upon him: Bud Pewtie of the Highway Patrol loses his partner in a blood-soaked shoot-out with Lamar, and from that moment on, nothing will stop him from getting even. It is the spring of 1945. 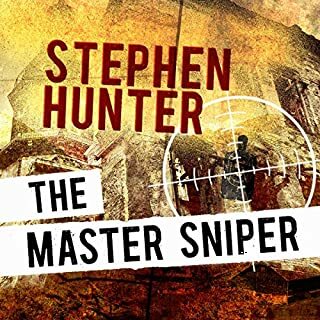 And Repp, the master sniper, is about to carry out his final mission – even as Germany’s enemies overrun it, even while a tired, disorganized team of American and British agents tries everything in its power to stop him. Because for Repp, this is the job at which he cannot fail. For this time, he possesses the ultimate killing tool. And with it, he will commit the ultimate crime. In the windswept sands of the Middle East, Paul Chardy fought side by side with Ulu Beg: one, a charismatic, high-strung CIA covert warrior, the other a ferocious freedom fighter. Then Chardy fell into the hands of the enemy, and Beg was betrayed. Now the two men are about to meet again. Beg has come over the Mexican border under a hail of bullets - determined to assassinate a leading American political figure and avenge his people's betrayal. The CIA wants Chardy to stop the hit. Chardy wants to save Beg's life. A terrible truth begins to emerge: somewhere, someone wants both men to die. In the fall of 1888, Jack the Ripper slaughtered five prostitutes in London's seamy Whitechapel District. He did not just kill - he ripped with a butcher's glee - and then, after the particularly gruesome slaying of Mary Jane Kelly, he disappeared. For 127 years, Jack has haunted the dark corners of our imagination, the paradigm of the psychotic killer. We remember him not only for his crimes, but because, despite one of the biggest dragnets in London history, he was never caught. I REALLY wanted to love this book; I really tried. Earl Swagger is tough as hell. But even tough guys have their secrets. Plagued by the memory of his abusive father, apprehensive about his own impending parenthood, Earl is a decorated ex-Marine of absolute integrity — and overwhelming melancholy. Now he’s about to face his biggest, bloodiest challenge yet. It is the summer of 1946, organized crime’s garish golden age, when American justice seems to have gone to seed for good. Nowhere is this more true than in Hot Springs, Arkansas, the reigning capital of corruption. When the district attorney vows to bring down the mob, Earl is recruited to run the show. 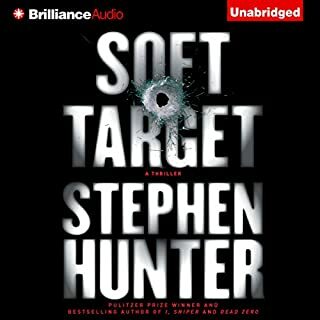 As casino raids erupt into nerve-shattering combat amid screaming prostitutes and fleeing johns, the body count mounts — along with the suspense. 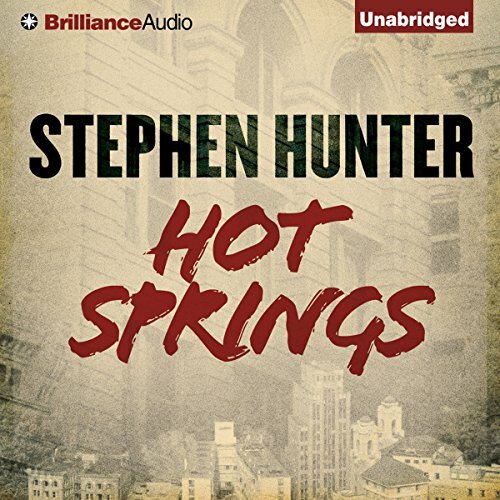 ©2011 Stephen Hunter (P)2011 Brilliance Audio, Inc.
Where does Hot Springs rank among all the audiobooks you’ve listened to so far? It is a great book. Not the Best, definitely not the worst. Earl Swagger and DA are great characters. It took me a little while to get used to Eric G Dove. It started out sounding very staccato, and matter of fact but after a while it fell into a good groove. The matter of fact story telling fit the character so it began to meld. In the end, i was wrapped up in the story and in the voice. Eric G Dove did a good job with the English Accent on Owney as well. ...for a Swaggart. Interesting location and plot line for a location and time we don't usually remember. A study in the Earl Swaggart character and what made Bobby Lee the character he became. This is a wonderfully crafted story of corruption, gangsters and heroic police action. The descriptions and action are vivid and moves along briskly. One tends to identify or at least understand the underlying pathos and motivations of all the main characters, good guys and bad guys. In a no excuses fashion it does paint corruption in the evil colors that it deserves. 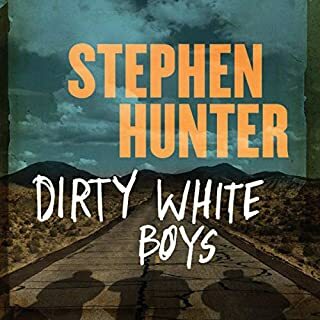 I found the book much in the style of Elmore Leonard, in terms of subject, the crisp, realistic dialog and the complexity of the story which seems to unravel naturally and with ease. 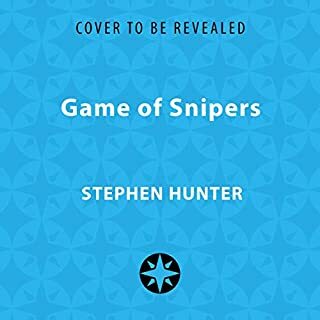 My only complaint is the final few chapters of the book seem to drag a bit tediously in exploring the psychology (prior experiences & motivation) of Earl Swagger, the main character, leading to the final "showdown". Except for this indulgence, I would be seriously tempted to give the book 5 stars. Earl Swagger and post WW2 America are such unique and interesting subjects, I truly hope Stephen Hunter follows this with more "swagger". There are at least six storylines in this well-written book. Perhaps as a result of that, it takes a good two or three hours to get into the story. From there it builds to a climactic ending. Characters are well-developed. You will enjoy the ride once you get into it. No, because I would be embarrassed to admit how much I like it. What was one of the most memorable moments of Hot Springs? Cowboy justice, revenge, gunplay. Don't remember them, but they must have all been there. I liked this in beginning but had to almost force myself to finish with too much repetitive detail. It lost me by the end. What made the experience of listening to Hot Springs the most enjoyable? This presentation did not use a lot of character voices or added background noise and music. It was a nice straight forward presentation. Two actually, Earl Swagger and D.A. Parker. Both demonstrate no nonsense approach to life without bluster. No, but I have now listened to a few sequels of the Earl Swagger series, and presentation is the most significant factor in the quality decline. Has Hot Springs turned you off from other books in this genre? Would you be willing to try another one of Eric G. Dove’s performances? I could not even listen to this book because of the foul language. How many times do you have to say the work F**k in one sentence? So excited to start another great series with this book, I can't wait to hear the next chapter in Earl's life. 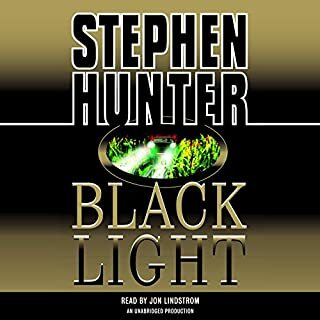 the ending sent chills through me after reading Black Light. another great one by mr. Hunter.